Parsley, sage, rosemary and thyme – a whiff of all that and some freshly brewed cappuccino guided us to the Good Cow Cafe as we settled down for an early lunch last Monday. 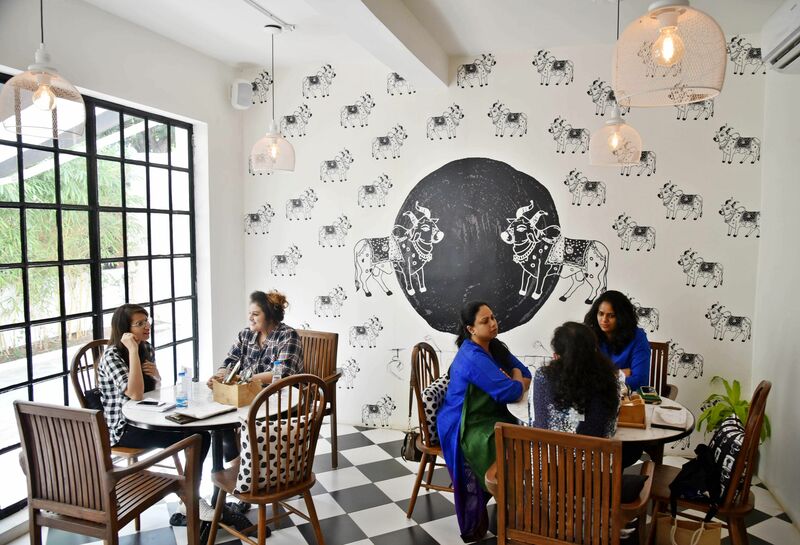 Be it the sunshine yellow Mango Smoothie, the Orange and Watermelon Cooler, or the soothingly green Popeye Pizza, the food served comes in delightful colours while most of the interiors are done up in black and white. Once we take a quick look around, it becomes clear that aesthetics are of prime importance. After all, one of the most well-known designers in the country, Mumbai-based Masaba Gupta has designed the interiors for it. 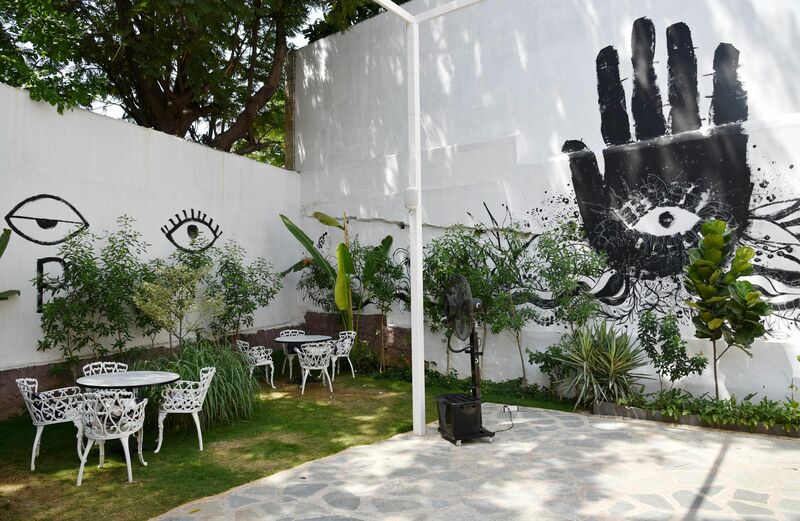 The café is helmed by the designer’s partners for House of Masaba, Akhila Lingam Reddy and Pragnya Kancherla Madireddy. There’s a quaint bookshelf in one of the corners and an antique clock that add to the vintage vibes. The black and white cows painted on the walls are the mascots. When you walk out to the courtyard – the graffiti there takes centre stage. 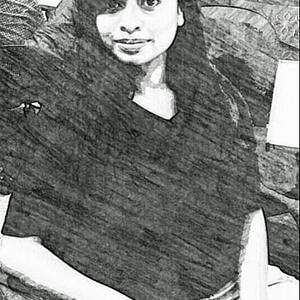 “Masaba, Pragnya, graffiti artist Rohit Mirdoddi and I met for quite a few evenings to brainstorm and decide the themes of the artwork,” says Akhila. At times, the artwork is colourful and reminiscent of the shrubs that grow in your garden. However, some of the artwork has surreal elements. For instance, there’s a giant eye peering out of a palm. As we try and absorb the hidden meaning behind the wall art, the manager, Raghavender Rao ushers us in. We spot a blackboard with the question on our way inside, “What moo(d) are you in today?” While thinking of a possible answer, we walk towards our table and get settled for lunch. As if reading our mind, the waiters serve us the Mango Smoothie. Given the soaring mercury in Hyderabad, the creamy drink made of fresh mangoes is just what the doctor ordered. If you aren’t a fan of mango, then try their Orange and Watermelon Cooler. The sweetness of watermelon syrup and the hint of fresh mint and lemon make for a refreshing alternative. 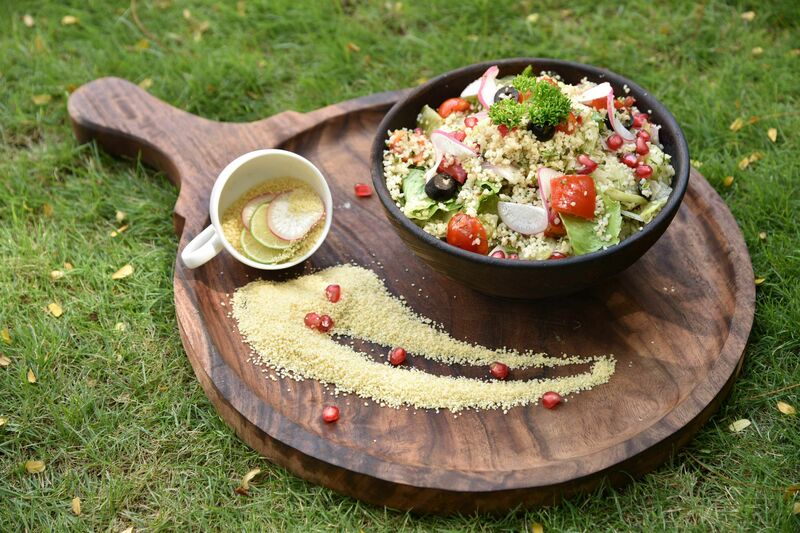 We then dig into our bowl of the Couscous Salad, replete with antioxidant-rich fruits and veggies – pomegranate, diced cucumber, red capsicum, onion, iceberg lettuce and cherry tomato. Even though the salad is low on dressing, it is flavourful, thanks to the sweetness of the pomegranate seeds and the sourness of the olives. Their house special Popeya Pizza reminds us of our favourite cartoon character’s elixir – spinach. We are talking about Popeye! If this sounds a little too healthy for your taste, go with some decadent Nachos with Cheese. 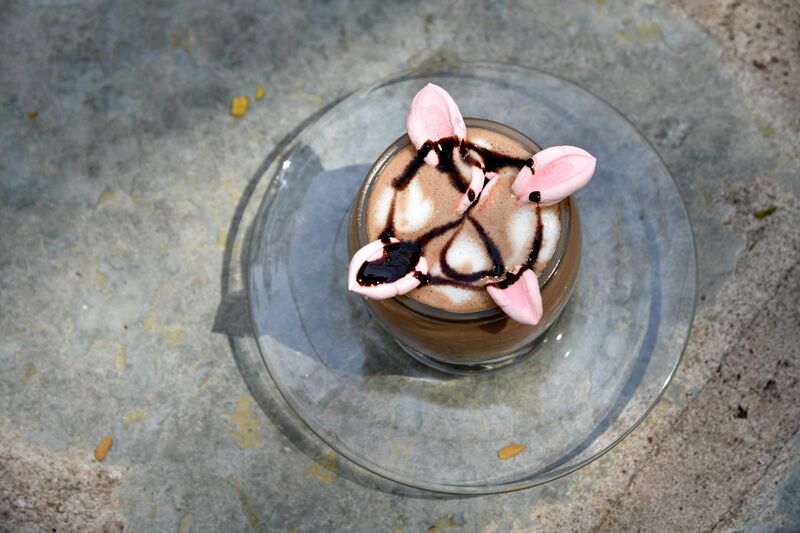 Although we didn’t instantly become a fan of the Nachos because it is a tad too cheesy, we didn’t spend too much time dwelling on it, as their signature Hot Chocolate with Marshmallows arrived on the table. One can’t really find a fault with this comforting post-meal fix. Make sure you try this classic. Price for two: Rs 700.